Prices are not visible for consumers. 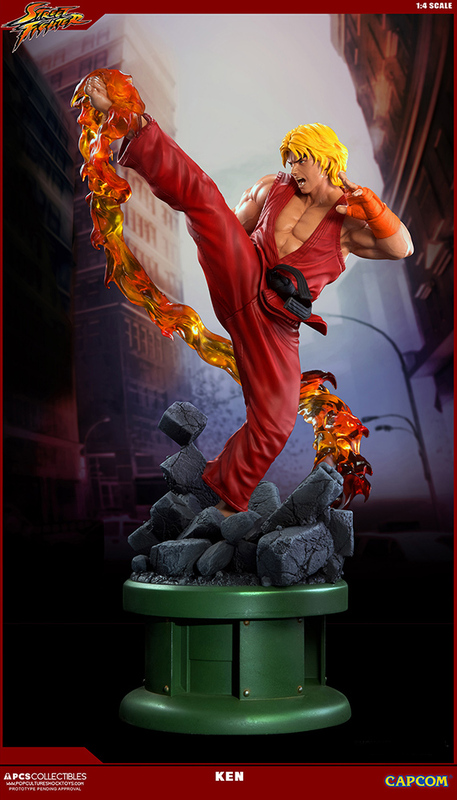 Celebrating the 30th Anniversary, this high quality collectible features Ken Masters in his iconic clean red gi, with sleeves cut neatly to reflect his flashy style. 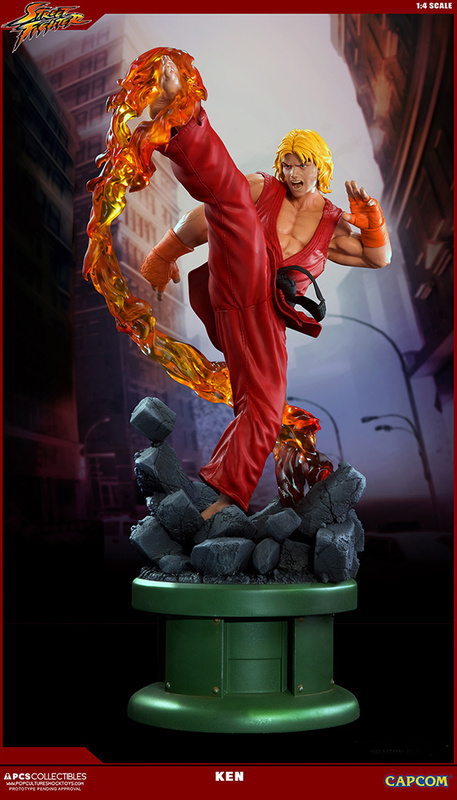 The Retail version is based on his Street Fighter IV colors. 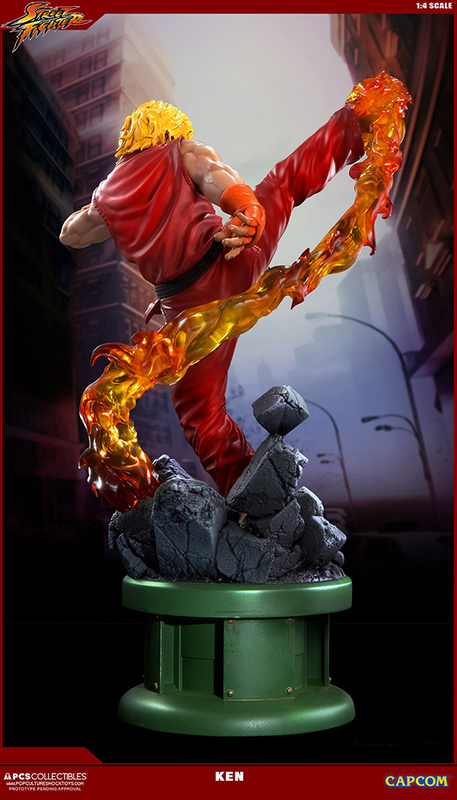 His orange gloves and clean, bright outfit — with sleeves cut more neatly than the tattered robe of his Japanese counterpart, Ryu — pop with color, reflecting his flashy style. 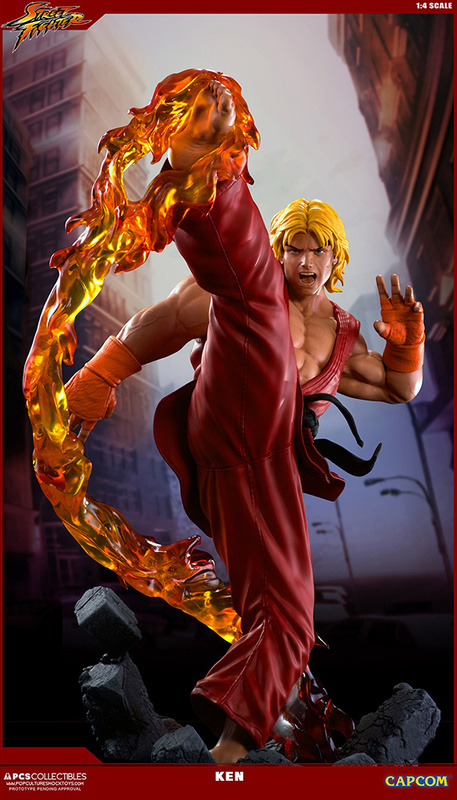 Emanating from the power of his kick, is the 'Dragon Flame' as fiery translucent resin attachment. 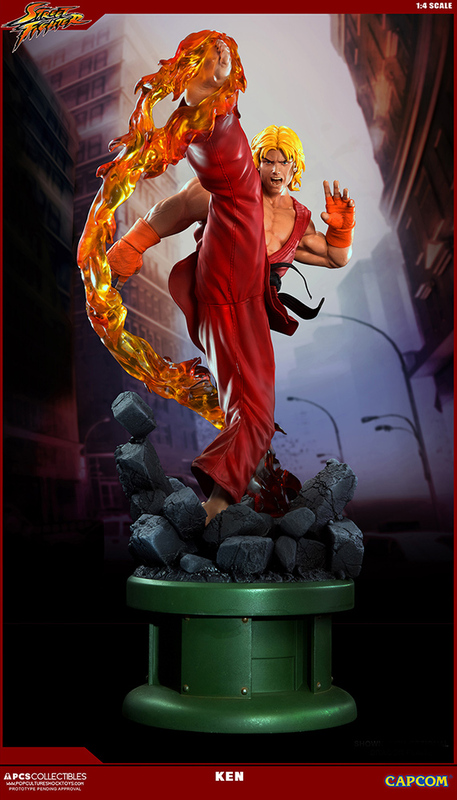 Hand crafted polystone figure with translucent 'fire' effect and Certificate of Authenticity. Subscribe to our newsletter to receive all the news about Cosmic Group's products. Please read the Privacy Practices..
You can unsubscribe at any time by following the link that appears in every newsletter we send you. Please fill in the form to become a reseller. You will receive the data of your personal account to enter our B2B and place orders on line.